Super savings start at Standerton Superspar. 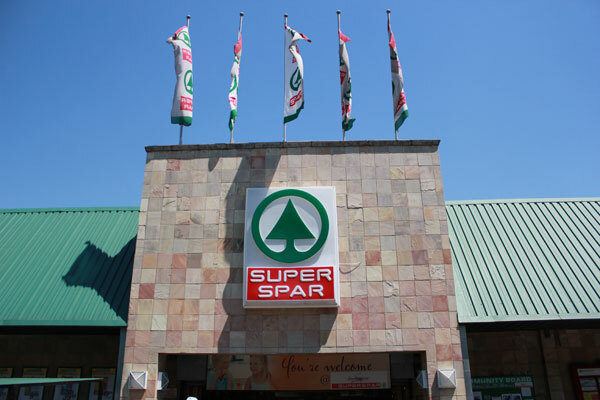 Standerton SUPERSPAR is conveniently located in town and therefore caters for all locals and people driving through Standerton. service, wide range of products and constantly striving to procure the best quality available. Fresh flowers are delivered 3 times a week and we have a dedicated florist doing arrangements, posies and mixed bunches. Specific arrangements can be done with prior arrangement. We stock a large variety of red and white wines ranging from Spier, Robertson’s, KWV, Tall Horse, Theuniskraal, Four Cousin’s to name but a few. Delivered daily. We procure the best quality produce available seasonally both from Spar and our dedicated fresh produce market supplier. We stock only top grade Beef, Lamb, Pork & Chicken, which we procure locally to ensure freshness and quality. Freshly Baked breads and rolls, daily produced cakes and the biggest selection of pies and pastries ensure that our bakery is by far number one choice for shoppers in the area. Our team ensures that you never need to go hungry. With a vast range of freshly prepared meals, sandwiches, whole roast chickens, flame grilled meats and eisbeins, to name but a few, we are the number one choice for replacing the task of home cooking with a tasty and convenient option. We also have a range of platters to cater for every need or occasion available to order. Other services we offer, include a Pay Zone counter enabling a customer to purchase electricity, airtime, pay for utilities eg. Telkom, Rates and Taxes, DSTV. Our Money Transfer service also enables our customers to transfer funds to numerous locations around the country at a fixed fee of R10.00 per transaction.